We replicated the bold flavors of our Chefs’ Choice regular co¬ffee in a decaffeinated version. We wanted a decaffeinated coffee with a strong, bold foundation—and one that could hold its own. A chef’s palate is demanding when it comes to coffee that calls for a bolder, richer profile. This co¬ffee blends an irreverent roast with sweet balance and uses the highest quality specialty coffee, which is a crucial element for our demanding roast style. We source beans from producers and farmers who care for their coffee from seeding to bean with consistency and patience. The volcanic soils of Indonesia create a bean that allows for an intense roasting process and results in a viscous body and gorgeous oils. Balanced by the light citrus acidity of a Colombian bean, we’ve created this signature taste profile. 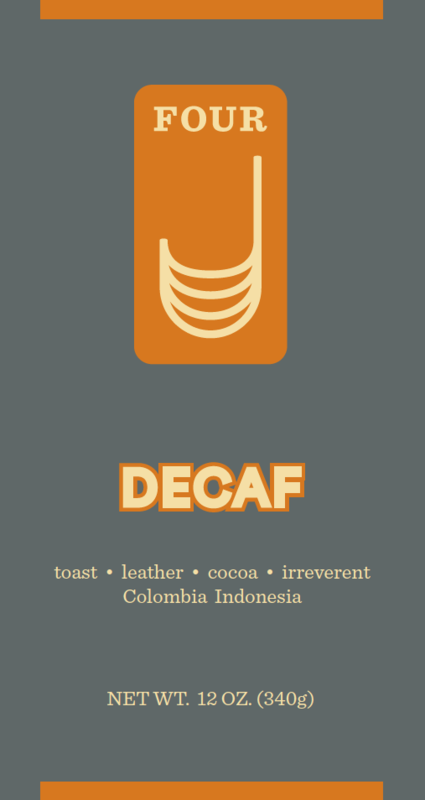 Find an irreverent blend of toast, leather and sweet cocoa in every cup.